While I'm waiting for the glue to dry, thought I would give an update on progress. I am doing this design on the fly as sometimes it's easier to visualize what I need to do as things go together. 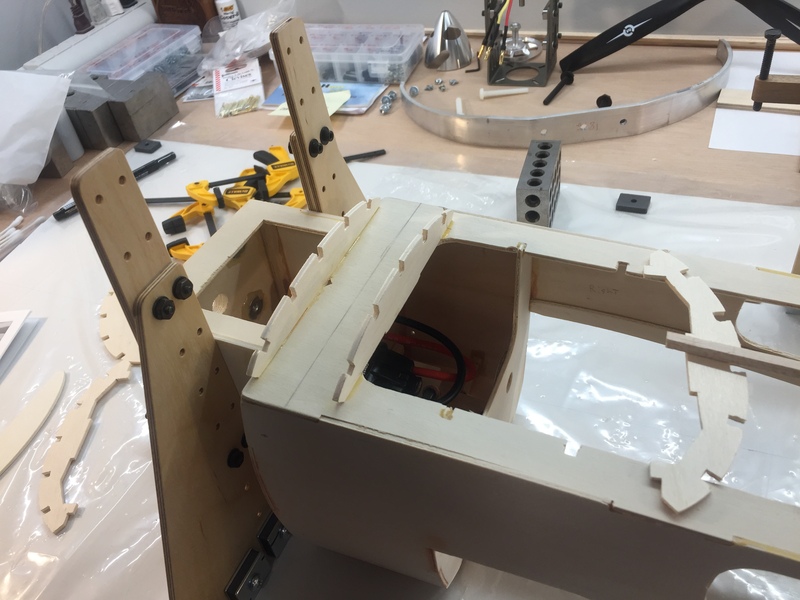 I test fitted the canopy to see where the rear former needs to be placed for the battery hatch, I have the front formers and center support glued in and am using the stringers to apply weight for gluing and also check alignment. 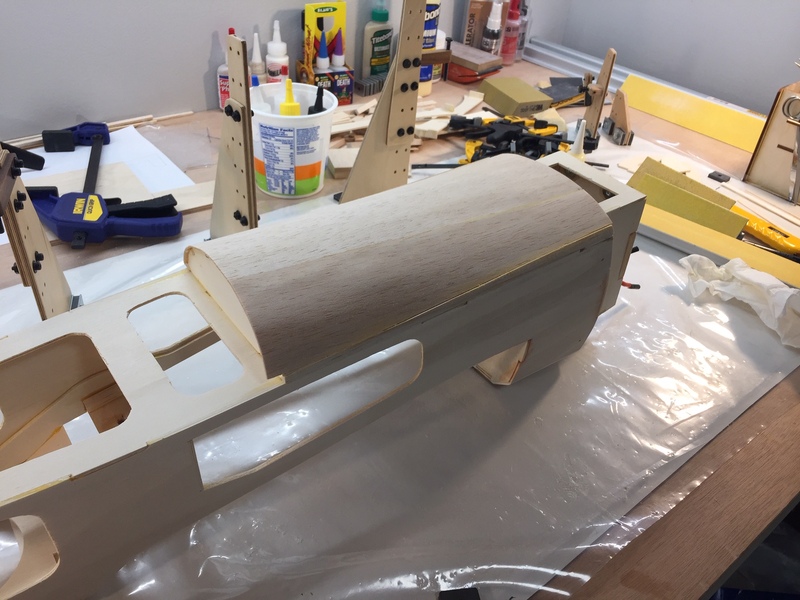 This is what scratch building is all about I guess, but I am loving my new scroll saw which makes fabricating formers a breeze. 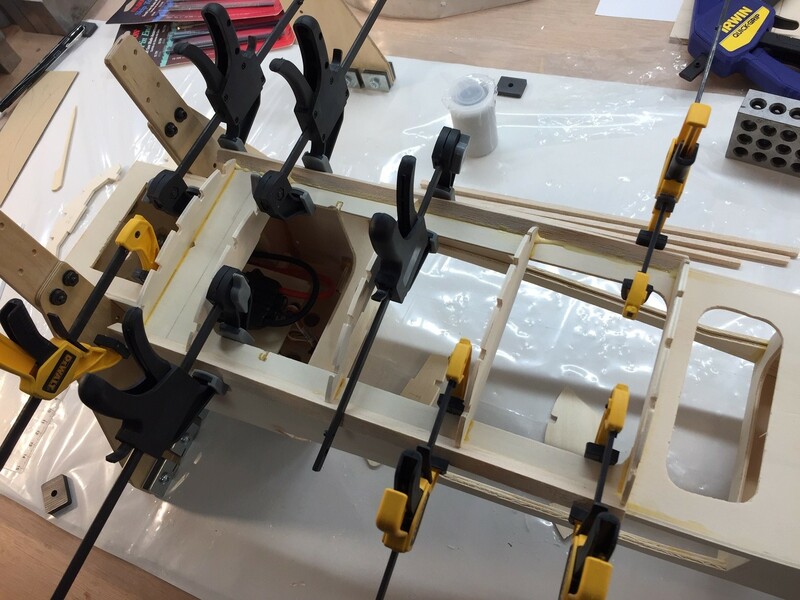 After I get all the formers in place and the battery hatch formers fitted and figured out, I will glue the stringers in place, sheet the assembly, then cut out the hatch, after gluing in the hatch formers using pins to space them from the fuse formers. I got this idea from ARF guys that convert to electric and it seemed like it works pretty good, except I have the advantage of prepping things as I build. 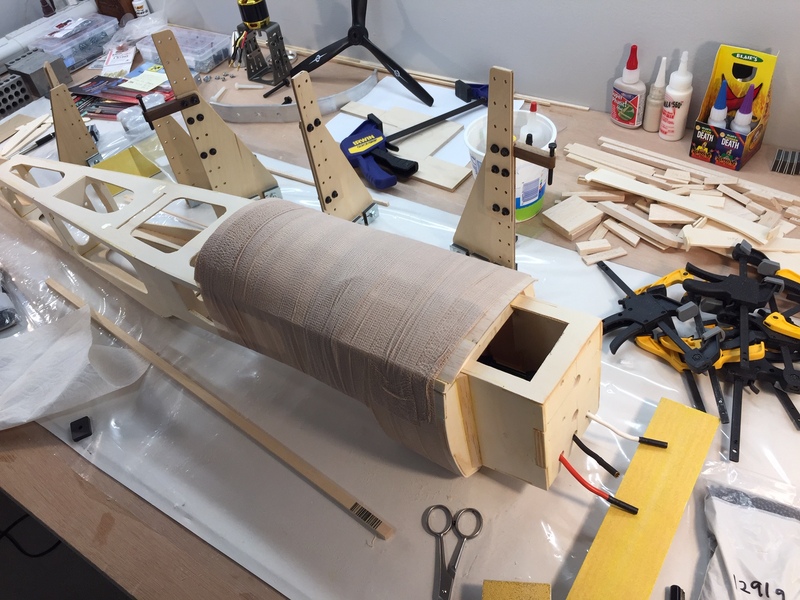 The kit uses only 3 formers for this assembly without a hatch and after I am done there will be 7 formers, so there is some weight added during this part of the conversion. 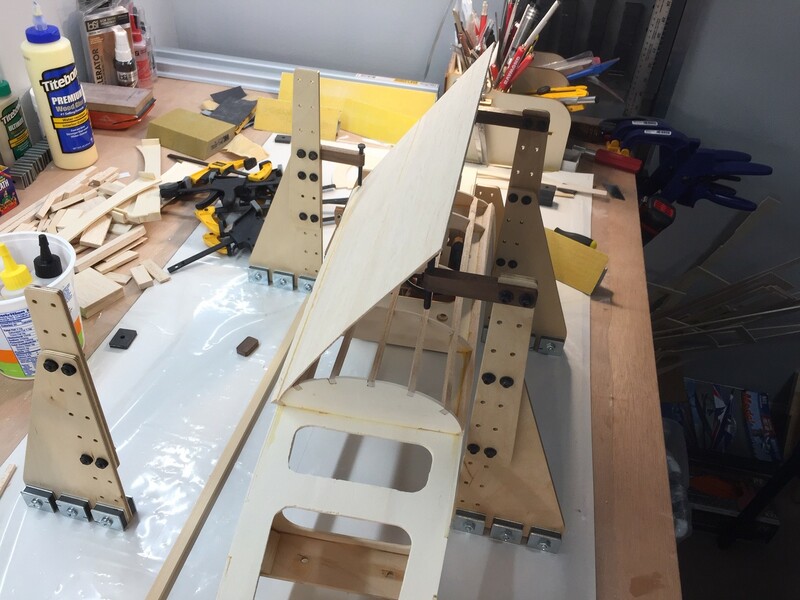 I am using the light ply scraps from the kit to manufacture the formers, so they are very light and strong so far. I am amazed at how well the light ply cuts with the scroll saw as when it's die cut it just crumbles, but when sawed it is wonderfully durable. Thanks for the link Wilson, I remember that build and am using your ideas, along with others, on this hatch build. Tonight I got the rest of the formers fabricated and the all the fuse formers glued in. I also fitted the hatch formers and have a pretty good idea on finishing it later. 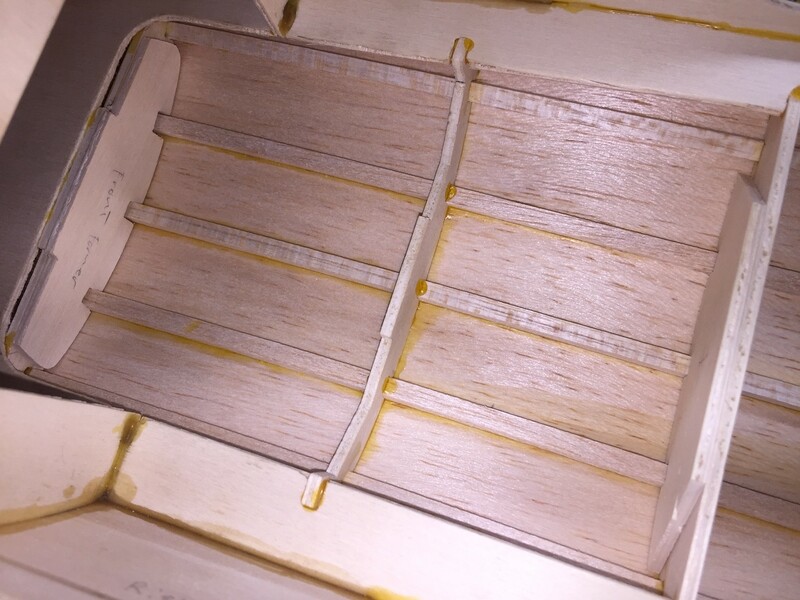 I will glue the hatch formers in after I sheet everything, then cut out the hatch using the pin method (poking pins from the backside as there is lots of room in the fuse to work) for marking the cut lines. 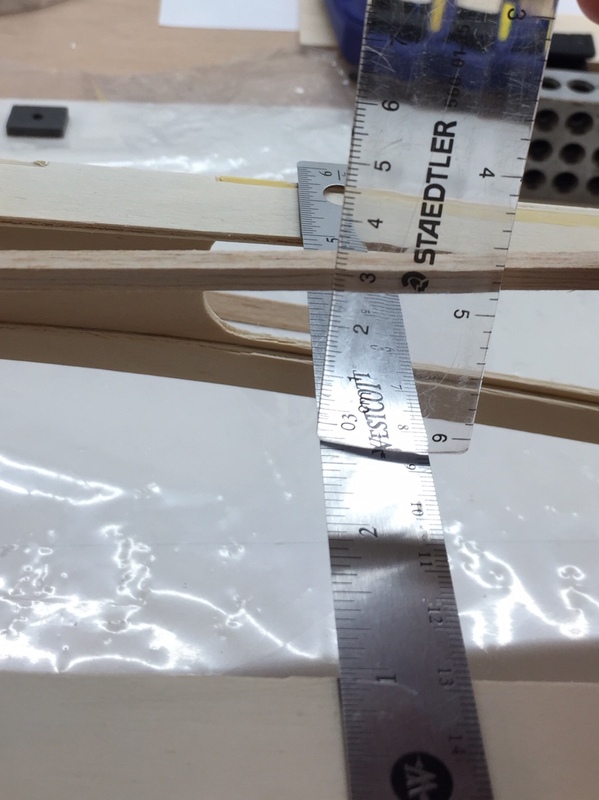 Here's a little trick I learned on how to measure the former heights and slot heights I needed to fabricate them. Here you can see my formers mated up with the fuse formers I made for the hatch assembly. Gluing on the side rails that the sheeting will mate with, per plans, then sand everything down to a nice shape after sheeting. As long as there’s somewhere for the air to go it shouldn’t be too big of a deal. How are you cooling the ESC? 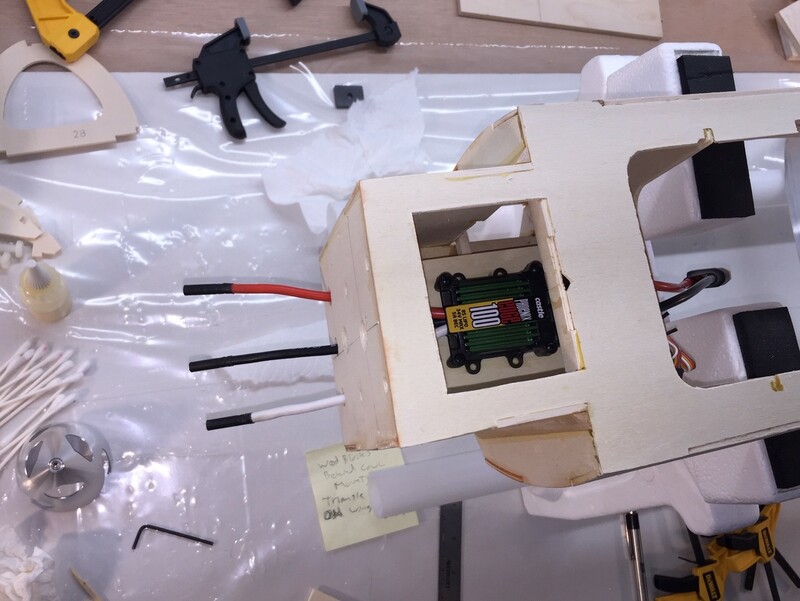 The ESC is located right behind the firewall with cooling holes drilled in line with it, so it will get a good airflow. 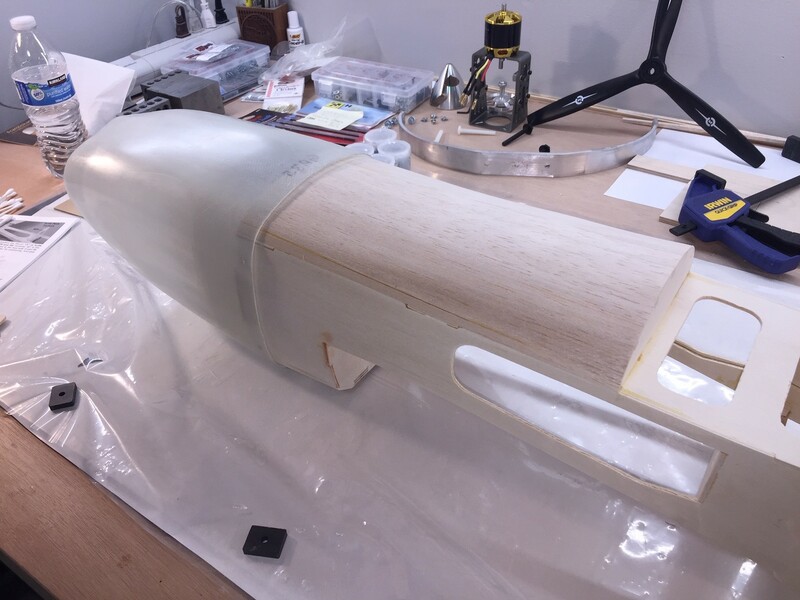 I'm planning on an opening towards the tail at the bottom for exhaust hot air, this will probably be an access hatch as I may mount the radio gear back there to help balance the airplane, plus I have found when mounting the radio in the tail section it gets excellent reception. Here's something I've been thinking about, Great Planes has you mount a small hatch cover with screws on top of this box which would normally house the fuel tank. Since I have put the ESC in there and it needs to be cool, I am wondering why it would be necessary to install the hatch cover since it is under the cowl and you cant see it at all. I don't think it gives the fuse any strength that is needed and is only a cosmetic piece for when the cowl is off and don't care about that as this would certainly save some weight also. 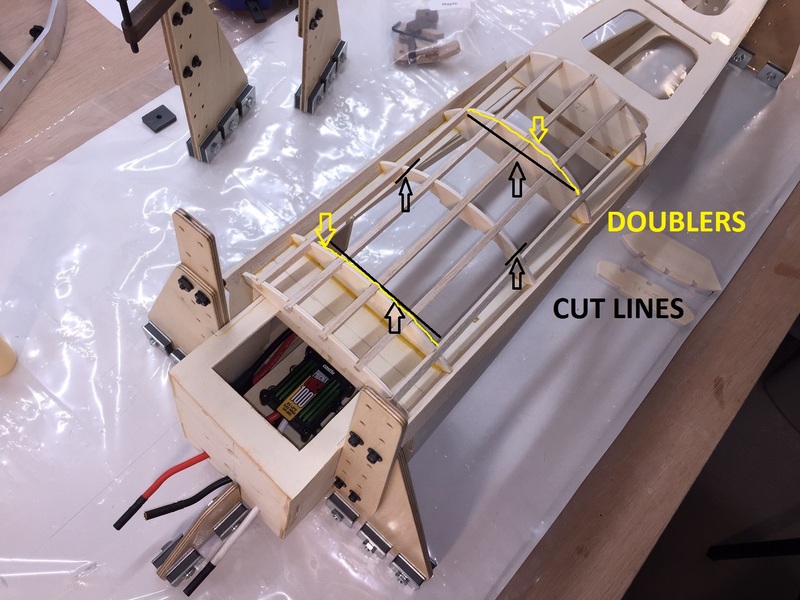 Got the stringers glued in and everything came out ok for my first scratch build attempt with formers and major fuse redesign (did this with my Hog Bipe, but not this complex, as this fuse has taper and changing angles). 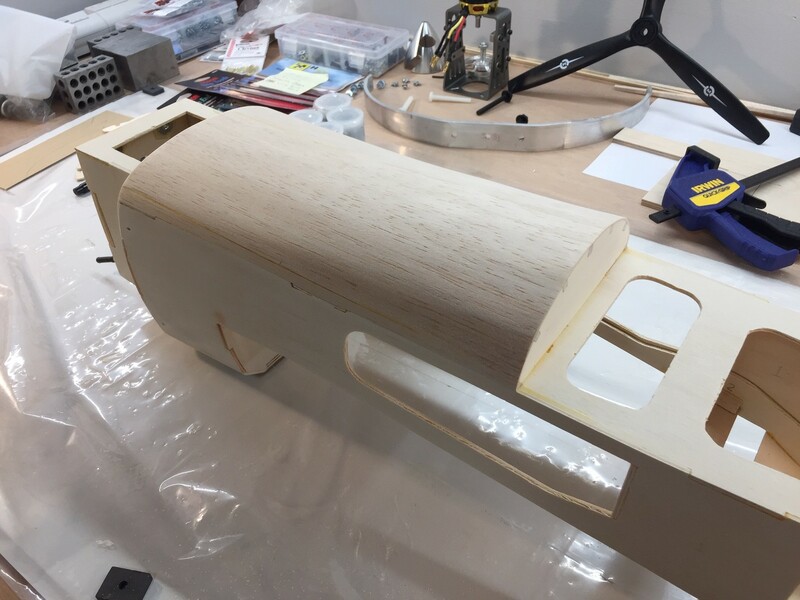 Just need to do a little sanding then sheet the assembly next. I sketched out my cut lines and former doubler locations for the battery hatch in the picture and am confident this should work well. 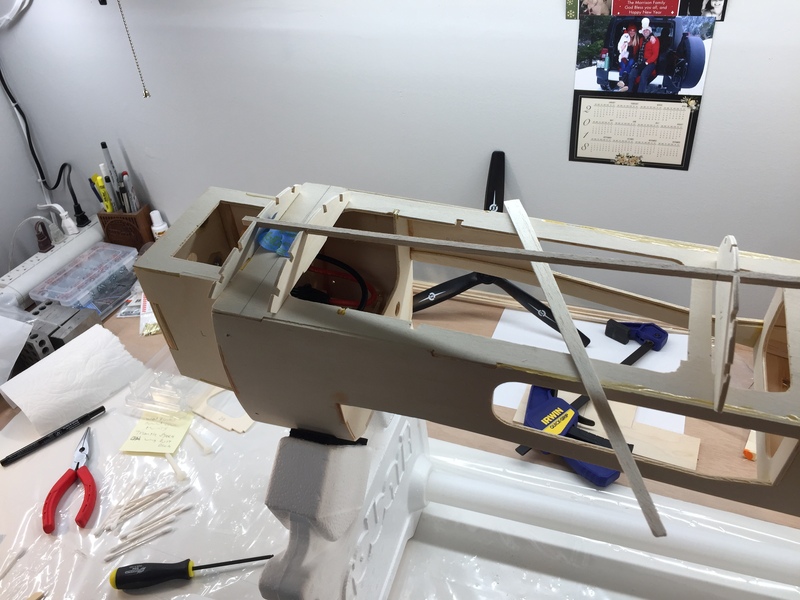 It's going to be tricky making the hatch doubler bulkheads fit in there now that the stringers are in place. 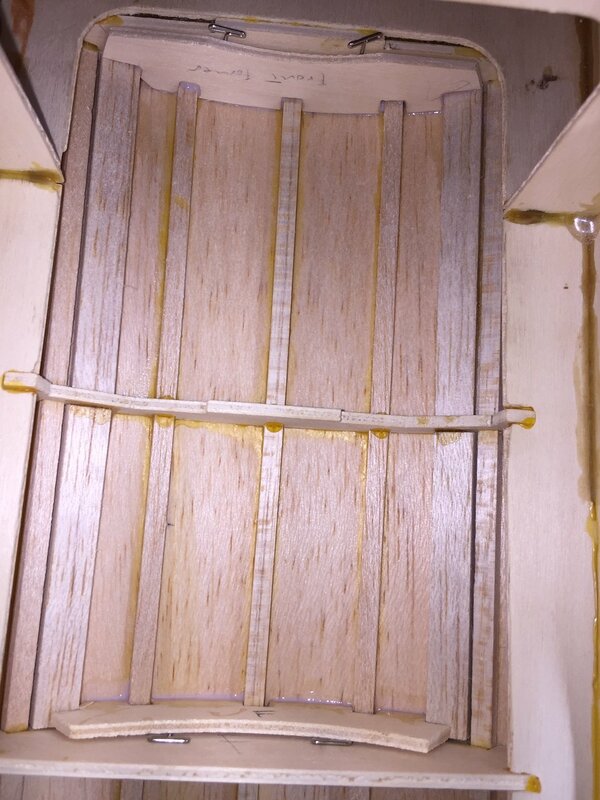 I make all the hatch pieces fit first then put the stringers in. Last step is to cut the stringers free with a razor saw and lift out the hatch. Can't wait to see your plan to solve this puzzle. Tricky? Yes. Impossible? no. To each their own. If it works it works. You are correct, because of the angle of the stringers I couldn't get my formers to fit in! Arggggg, funny they fit fine when the stringers were loose and I guess that is because I could move them a bit. So, I cut the doublers a bit and now they fit fine, but there are gaps at the corners. After I get the sheeting glued on I will work on this problem some more. I should have fitted the doublers first, then glued the stringers in leaving the doublers loose and sliding them forward a bit so they wouldn't glue in accidently. 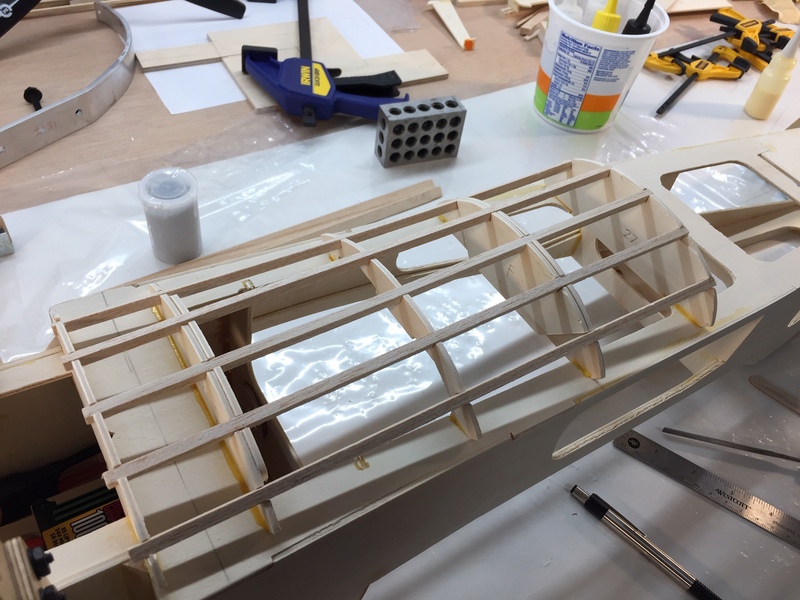 Live and learn... Ater I add the support stringers to the sides of the hatch I can cut out the hatch then fill the corner gaps with some balsa and glue or micro-balloons, then covered with covering. You will never see the mistake, plus the hatch doesn't need to be a super support structure. On another note, sheeting this deck is being a bear as Great Planes just says make a sheet, wet it, bend it, then glue it on. 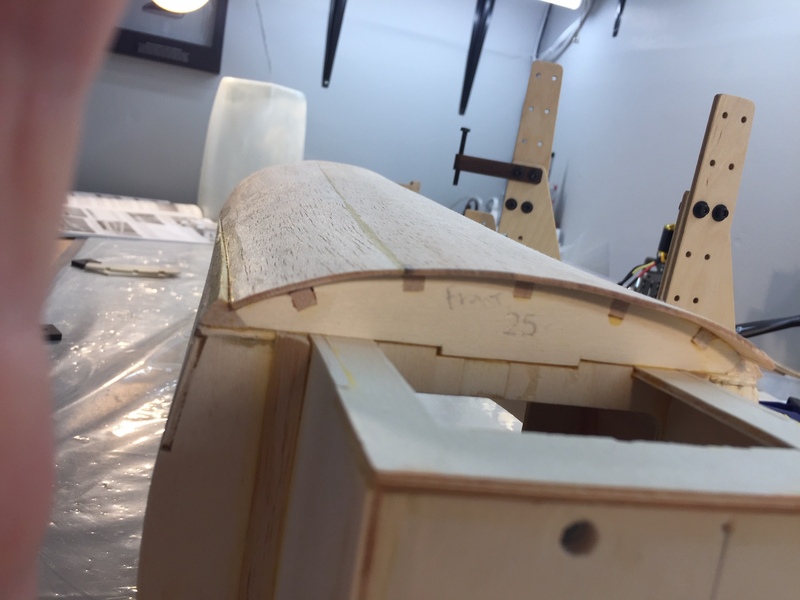 Well, the way the side stringers are designed you trim and shape them after the sheeting is glued on so the edge makes it hard to secure the sheeting while gluing. So I am doing it in stages using Titebond and a little CA (help tack the edges a bit), then, after everything dries for a day I will shape, trim and finish gluing. That's why I like watching someone else build. I learn new tricks and better ways to do things. I never say my way is the only way. I'm always certain and often wrong. Well, I got very frustrated trying to glue the sheeting on "their way" in one big sheet. I should have done it in halves like most other decks I have sheeted and do one half at a time which I think is much easier and accurate. Anyway I couldn't get the sheeting to lay down tight against the stringers properly and had to pull it up, wipe some glue, sand a bit more then apply more glue and make it fit. Frustrated and running out time with the glue I mummy wrapped it with medical tape and let it heal... 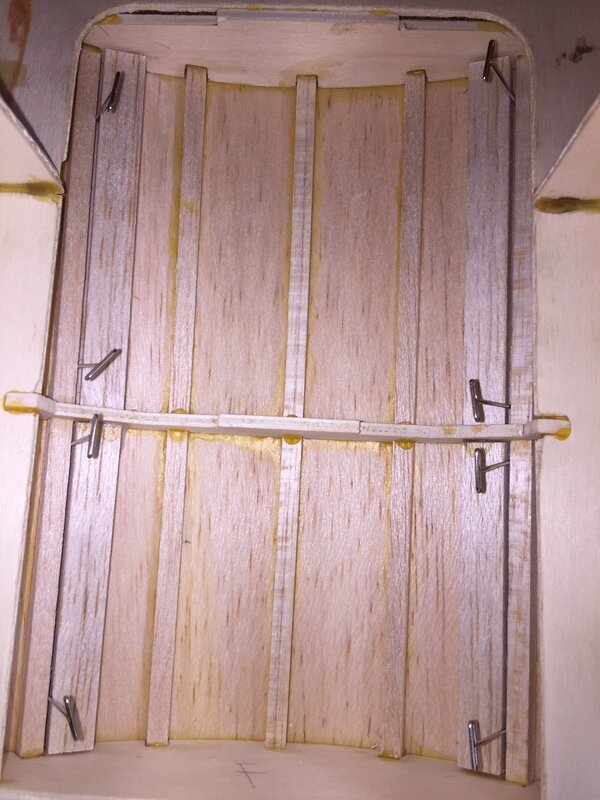 This works, but the problem you have is it works so well the sheeting forms to the shape of the stringers and formers which makes it wavy when your all done. I removed the mummy wrap and it looks ok and "good enough" for now. I will perfect sheeting as I learn more from bad instructions in kits and lean on experience and forum advice more. Came out ok, but a little wavy in spots. 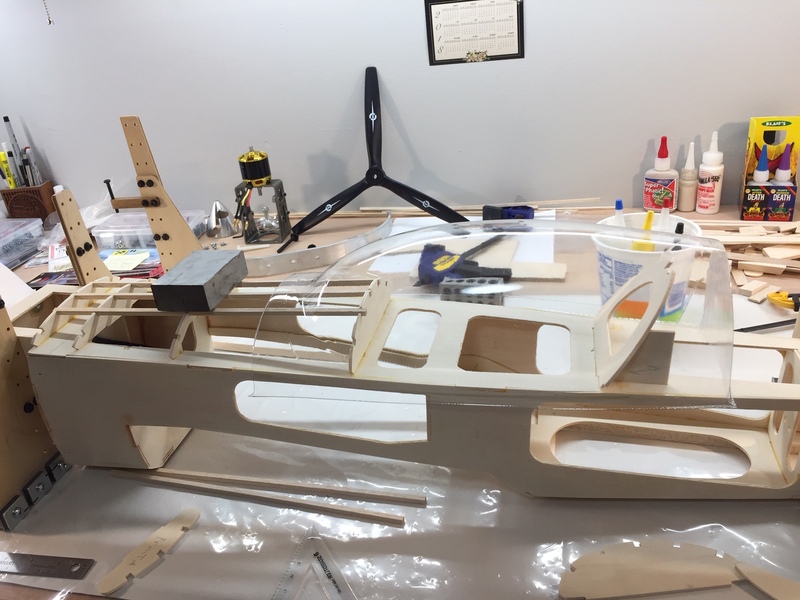 Just need to trim, fill some gaps with balsa lite filler and then sand it all to shape, being carful not to sand the sheeting to thin. If the sheeting is glued tight to the stringers then wet the sheeting and it may return to its original shape. The dents may relax. You could try steam too. Hmmm, good idea, may try that when I get home, although it's not bad after I sanded. I could use some input here. What if I cut (black lines) the hatch formers back a bit then run the hatch stringers (red lines) to the ends? Also trimming the formers down a bit to save weight. The I will make some magnet standoffs for the hold down.